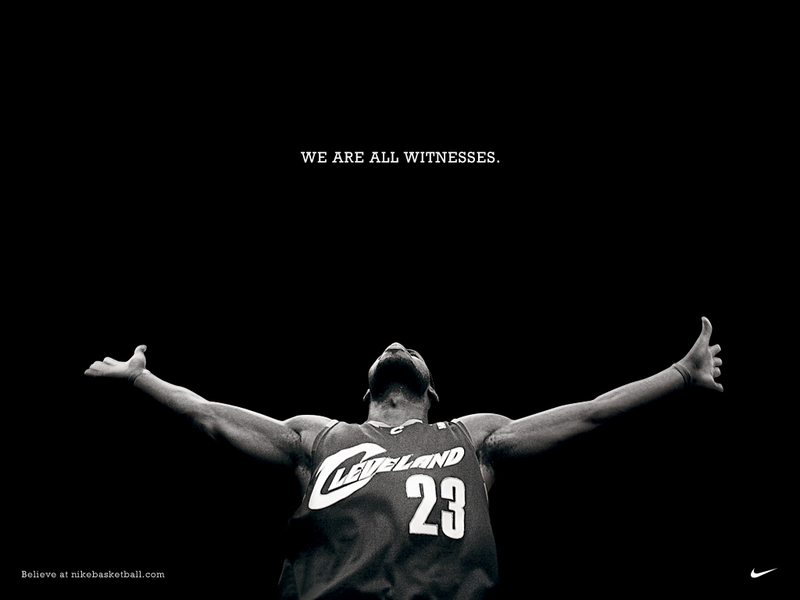 You are here: Home / Life Musings / My open letter to LeBron: It's not just business. It's personal. My open letter to LeBron: It's not just business. It's personal. LeBron, the decision you made may have been business for you and your “team.” It may be business to Miami. It may be business for LA and New York and Chicago. It is not business to us here in Northeast Ohio. It is personal. Do you remember when you were a kid and the Goodyear blimp would fly overhead? It’s something all of us Akron people get excited about. Back when you were a little kid, the blimp was called The Spirit of Akron. It would show up on television, soaring above games. It would fly over our houses and we would soar up there in the clouds in the Spirit of Akron’s wake. A few years ago, the name of the blimp changed. It was the Spirit of Goodyear. All of our ties to that little bubble of air were broken after years of gazing upward. You were our new spirit of Akron, LeBron. You were our proof that good things can happen here. Good things can come from here. You made people familiar with a side of Akron that had nothing to do with all of the jokes and mockery. You were putting us on the map in a good way, LeBron. And in these really dark economic times, when businesses and stores are closing, when our libraries and schools are dying here, LeBron, you gave us something to look forward to, something to be really proud of. When I was 25 I felt the big 3-0 pushing down on me. I had goals I wanted to reach by age 30, and I felt like I would be a failure if I didn’t meet all of those objectives. Granted, I didn’t have the spotlight on me like you do, but I’ll tell you something that you come to appreciate after you get through your twenties. You appreciate your community. You appreciate being surrounded by places and people who have been there for you your whole life. That’s not to say that people always come back to where they’re from, but you start getting nostalgic. You will miss that in Miami. It will never be home to you. But because of the way you handled this, I’m not sure your emotional home here, your spiritual home, will be waiting for you. You said last night that winning has always been the most important thing to you. It broke my heart that you couldn’t say that winning in Miami would be less sweet than it would have been to win a championship for your hometown. You will learn, eventually, that winning a championship is not enough to fulfill you, LeBron. And winning can mean different things. To us, your hometown crowd, winning would have been taking less money, as you are willing to do, and saying that you would stay with us till you brought a championship home. That is the true definition of loyalty. Saying that you don’t care how hurt the fans are, saying that you hope we treat you with respect, is like spitting in all of our faces, LeBron. How could you? You always say that you are a big fan of the Yankees. So you probably know all about Lou Gehrig and the amazing speech he made when he had to retire. Lou Gehrig was from New York. He started out in tough circumstances but found that sports gave him a way out. He got to play for his home team, and he stayed there. You could say that it was easier for him to stay because the Yankees won. Maybe. But I think Lou Gehrig valued the reward of playing in front of his family, his friends, and all of the people that cheered him on from the very beginning. He wasn’t the luckiest man in the world, at the beginning of a crippling disease, because he had won championships. He was the luckiest man in the world, LeBron, because he had forged a powerful bond with his fans, with his teammates, and with history. That is a winner. Business is not always something that is without emotion. Decisions cannot always be made separate from the results. The way you handled this process, the way you announced this, the way you so rapidly “moved on” last night, away from Cleveland, away from your home, and towards a city that only knows you as “the king,” may have all been good for your franchise. But when you retire, when your boys are ready to go to high school and college, when they want to see where your glory days were spent, where they were born, you will have to explain how and why that all ended. And that’s why I’m not angry with you, LeBron. You might not see the ramifications of your actions now. You might win 15 championships. You might become the King of Miami. But eventually you will have to explain to yourself and your boys and your grandkids that you left the hometown that you claimed to love because of business reasons, because it’s what the 25-year-old you thought would make you happy. Good luck with that, LeBron. I can't remember if I watched or read a story on Shaquille O'Neal's soon to be ex-wife. She said the move to Miami is what finally did her marriage in. She said girls chase down basketball players in every city; that's not news. But she said the extent the women of Miami went too was on a completely different level. They are ruthless, shameless and determined. So LeBron chose Miami. He's a family man right?He should have interviewed Mrs. O'Neal and maybe she could have convinced him to stay in Ohio for his family's sake. What I gather from Mrs. O'Neal, Miami ain't nothing nice when it comes to ballplayers and their marriages/families. Good luck with that LeBron.